Skip-the-line entrance to the Colosseum with reserved entrance time after 2:00 p.m.
Includes skip-the-line entrance ticket to the Vatican Museums and the Colosseum. 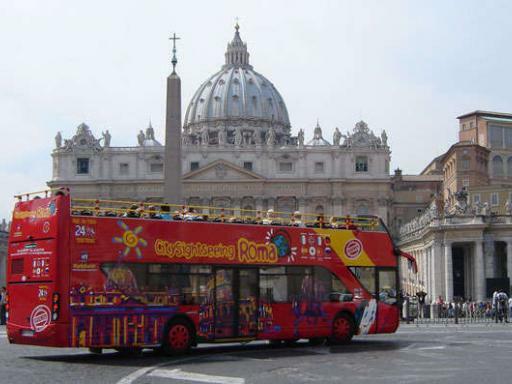 Discover Rome at your own pace with a combined 48-hour ticket hop-on hop-off sightseeing bus, and a skip-the-line entrance ticket to the Vatican Museums in the Vatican City, as well as the imperial sites of the Colosseum, Forum, and Palatine Hill. 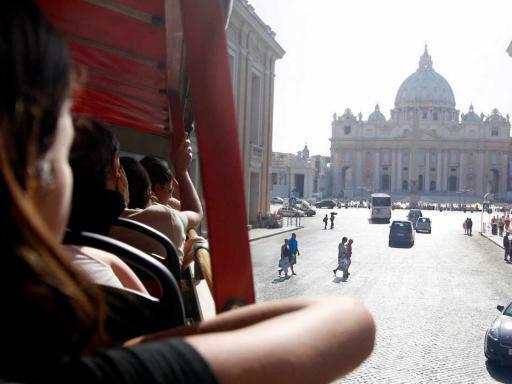 Explore Rome at your own pace with a 48-hour hop-on, hop-off open top bus tour. 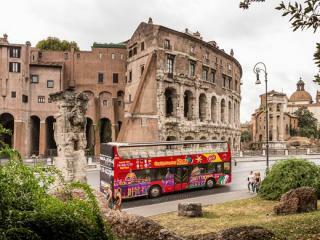 The tour also includes a skip-the-line entrance ticket to the Vatican Museums and the Sistine Chapel plus the Imperial remains of the Colosseum, Roman Forum and Palatine Hill. Your skip the line access to the Vatican Museums means more time exploring the world’s most comprehensive collection of art, and less time waiting in the famously long lines. Once inside, wander through the galleries at your own pace, and see masterpieces of art by Michelangelo, Raphael, and more. 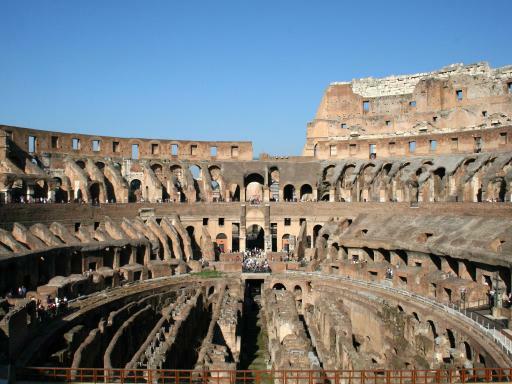 With your skip-the-line Colosseum Ticket you can explore the ruins of Ancient Rome. Stroll around the circumference of this famous structure to understand what it was like when the crowds roared and gladiators fought for their lives. 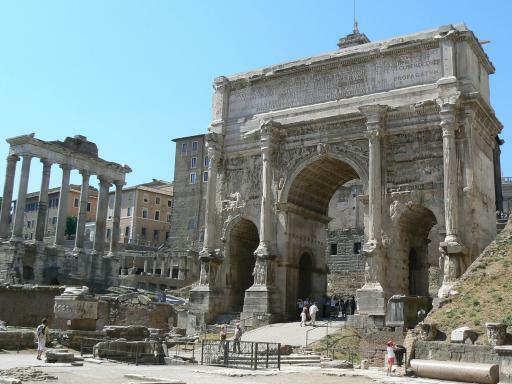 Afterwards, walk along the Sacred Way of the Roman Forum, where festivals and triumphal processions took place. See the very sight where the body of Julius Caesar was cremated, the Arch of Titus, the Temple of the Vestal Virgins and the Senate House. 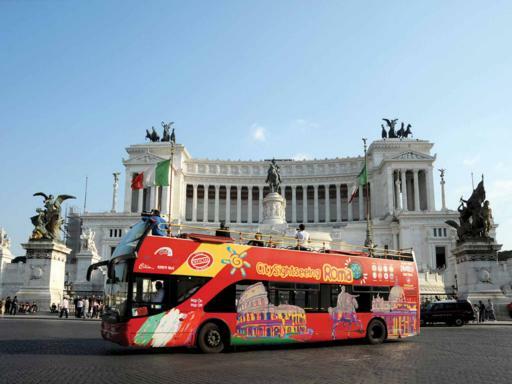 With a Double Decker Tour Ticket you can hop-on and hop-off the buses at any of the stops throughout Rome, giving you the freedom and flexibility to explore, sightsee or visit attractions before boarding the next bus to continue your tour. Your ticket is valid for 48 hours and includes two routes. From the Trevi fountain to the Colosseum, Rome’s abundant sights rival those of any other city on the planet, in terms of their beauty, historical importance and ability to simply take your breath away. Whether your interests lie in antiquity, architecture, cuisine, culture, religion, shopping or sport, Rome has something to suit all tastes. Stroll through the Pantheon, marvel at Michelangelo’s Piazza del Campidoglio and admire the Swiss Guardsmen of Vatican City. Try a ‘proper’ spaghetti alla Carbonara near the Spanish Steps or sit back with a coffee and people-watch in Piazza Navona. Alternatively, if you fancy a break from Rome sightseeing, act like a local and take in a Lazio or Roma match at the Olympic Stadium. 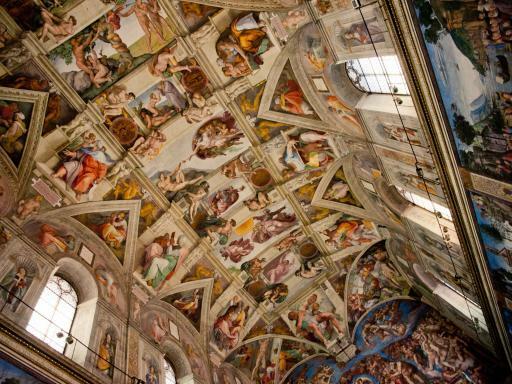 Please note the Vatican Museum is closed every Sunday and on select religious holidays including Christmas Day. The Colosseum is closed on the 1st Sunday of each month plus 1 May, Christmas Day and New Year's Day. Departs: Daily, except the first Sunday of each month. Pointless being downstairs on the bus, you can't see anything. wait for the next one to get on the top. I was very pleased to skip the line. Especially as it was huge and raining. Please note: The Colosseum ticket can only be used after 2.00pm while the Vatican Museum and Sistene Chapel can only be used between 9.00am and 3.00pm. The Vatican Museum and Sistene Chapel portion of your tickets do not need to be used within the validity of the 48 hour hop on, hop off bus ticket. You must visit the Colosseum on the first day you activate your ticket. You will be issued with an open-dated ticket voucher which can be redeemed at anytime on your visit to Rome. This can be exchanged at the CitySightseeing Visitor Centre (address listed on the voucher) or when boarding the City Sightseeing Bus for the first time. We recommend exchanging the voucher before 1p.m. 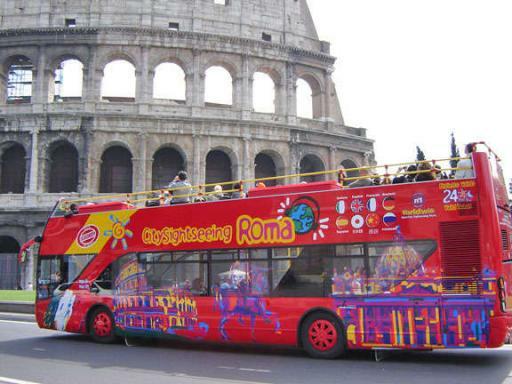 at City Sightseeing Rome Visitor Center. The skip-the-line Vatican Museum tickets enable you to bypass the main ticket purchase line. However, you may still have to queue to get into the Vatican Museums at busy times but your queuing time will be significantly reduced. Entrance into the Vatican is subject to a strict dress code. Shoulders and knees must be covered. Low-cut or sleeveless tops or shorts will be not permitted for men and women. 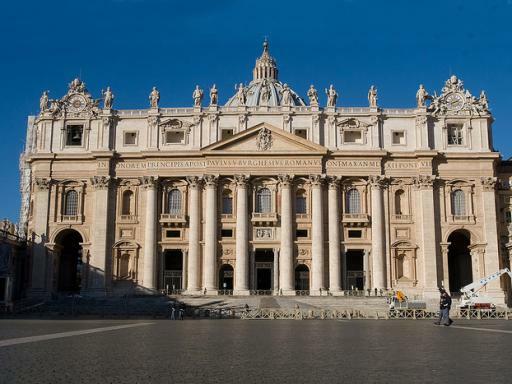 Clients that do not adhere to the dress code will not be permitted to enter the Vatican. Certain stops and sections of the tour may occasionally be subject to last minute changes and closures. Large handbags and rucksacks are not permitted inside the Colosseum or the Vatican Museums and cloakroom services are not available. We recommend not taking a large bag on your visit to the Colosseum or Vatican Museums. Please have a valid photo ID with you, as you might be asked to present that for security reasons. You must print and present a paper version of your booking voucher (showing your voucher on a smartphone is not accepted). No refund can be given for customers without a printed copy of their voucher. What does ‘Hop On Hop Off’ service mean? The ‘Hop On Hop Off’ formula allows passengers to get on and off the bus at their leisure, whenever and wherever they want, at any stop along the route, as long as the ticket is valid. Where can we start the tour from? Our passengers can start the tour at any stop indicated along the route and at any moment of the day when the service is available. Does the service offer any commentary or guide? Each bus tour allows passengers to listen to a recorded commentary via individual headphone sets, providing passengers with useful and interesting information about the history, culture, traditions and curiosities of the city. Do I have to print the voucher? Yes, please make sure to print your voucher and bring it with you to exchange for your ticket. How can I exchange the voucher? The voucher that you received via e-mail after purchasing online and then printed, must be presented onboard the bus. The City Sightseeing staff will change it into a paper ticket of the same value. This change can be made onboard at every stop indicated along the route by either the ground staff (where they are available) or in one of the Visitor Centres listed in your voucher. 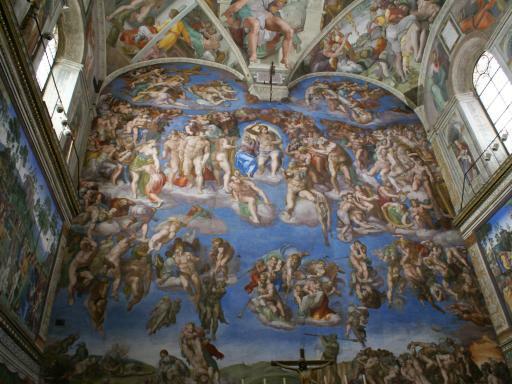 Do I have to use my Colosseum/Vatican Museum/Sistene Chapel tickets within the validty of the 48 hour bus pass? No, the additional tickets can be used on any day (they don't have to be used within the validity of the bus ticket) but must be used between 9.00am and 3.00pm.